First off I want to say Happy Birthday to my now TEENAGER cousin Jessica!!! Welcome to being a teen girly!! Now back to chow... since the last fudge recipe went over so well... I now bring you... more fudge!! Pour condensed milk into a medium sauce pan and bring to a simmer over medium heat. Once simmering add in the chocolate chips. Stir occasionally until chocolate is melted and creamy. Pour in rum and stir until incorporated. Remove from heat and stir in coconut. Pour into a wax paper lined 8x8 baking square and refrigerate until set (I normally leave it overnight). Once set remove from pan and cut into 1 inch squares. Wow - riding with the Captain, interesting idea and sounds pretty good. Wondering what Malibu coconut rum or a nice shot of bourbon would do to it. Looks good! Ohmigosh I LOVE coconut - this looks amazing. I'm stockpiling all your fudge recipes for next Christmas. It's never to early to think ahead, is it? YES I did read spiced Captin!! Now this is something I must make! Ive never have coconut in my fudge, let alone rum. Sounds so amazing! Ohhhh, I love rum in chocolate... Your fudge sounds PERFECT!! 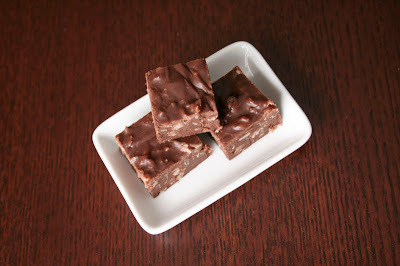 A fudge with coconut flavor sounds wonderful! Love it! I have some banana rum. I might try making this with it. Coconut and banana would make it kind of tropical! That looks oh so sweet! I'll never so no to more delicious fudge ... especially if its spiked! Looks so yummy, Steph! That plate of fudge is sooo tempting! I bet it would be really good with the graham crackers too. I LOVE coconut and these sounds INCREDIBLE...and easy! Glad hubby keeps on hand the Captain for times like these! jennifer- i think malibu sounds great! jennifer, astra, 5 star- thanks ladies! ang- hmm banana, I bet it's good with it! preventionrd- captain on hand... it was meant to be! sharonP- haha sorry sharon! 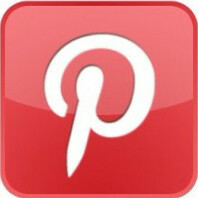 most of my recipes are healthy ones those so come back! Mmmm, rum. The Captain knows no wrong. 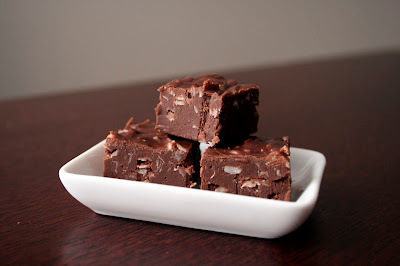 This is the best fudge I've ever made! So good I'm back in the kitchen to try this recipe with espresso powder and Irish Cream. Yum! 1 oz irish cream, 2 ts espresso powder. Awesome! So glad you liked it and thanks for your version!! !